Since I started training more seriously this season, after winter started to fade, I began by running once the first week, then twice a week for two weeks, then three times a week. This week has been my first ‘substantial’ week into training since I have come out of winter hibernation. While hiding from the outside and not regularly attending gyms during the ‘off-race season’ is not the best thing for my legs, or the rest of my body for that matter, what is important is that to begin to turn things around, it all starts with a decision followed by action. The decision was made to get back into running shape and for the past several weeks, I have been actively, though slowly, strengthening my legs enough to run more frequently again. Distance will come with time as well. Speed… First things first. Saturday I ran a little over five miles, a fantastic five miles with weather that I had forgotten could exist after months of freezing temperatures, strong winds, and no sun. Sadly it sounds as if I hide from the outdoors because of some post-apocalyptic, dystopian climate that creeps across a metropolis on an annual basis; sadly, this is simply winter in Chicago. A perfect city three seasons out of the year. Then one season where your Ton-Ton will freeze before it reaches the first marker if you venture beyond your walls without Hoth-grade under armor and layer upon layer covering any potentially exposed skin. By comparison, mid-fifties and sun on my skin felt wonderful on my skin. Even a light breeze was welcome as I was slightly overdressed in pessimistic disbelief that it was truly as nice as it seemed outside. On Sunday, I took the bus from Lincoln Park/Lakeview to Union Station, I do the reverse commute to the burbs for work and I needed a new Metra monthly pass for April. After leaving the station, I walked over to a coffee shop to feed my addiction, walked out the door to the bus stop and decided to keep walking. I took the long way home, wandering around the loop and checking out the Picasso sculpture in Daily plaza, the Abe Lincoln Sculpture on the running paths heading back north toward good ol’ LP/LV. It was still left-over-beautiful from the day before but I didn’t want to push it too hard with my legs still getting back into shape. Walking was perfect. This week I have been more tired from walking around town than I usually am from my runs. Perhaps I should add some lengthy tours-o-Chicago to my non-run or short run days. Monday I rested (but I put on my vibrams and ran down the stairs of my apartment when I got home. April Fools Feet!). Tuesday I ran just under three miles at a decent pace. Wednesday I rested (and started a running blog because I was not out running). Today I ran just over two miles. Tomorrow rest. 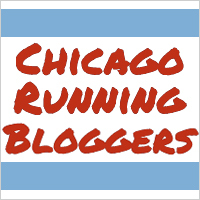 Saturday Morning, hopefully I will run a few miles before doing packet pickup at the Navy Pier Expo! !